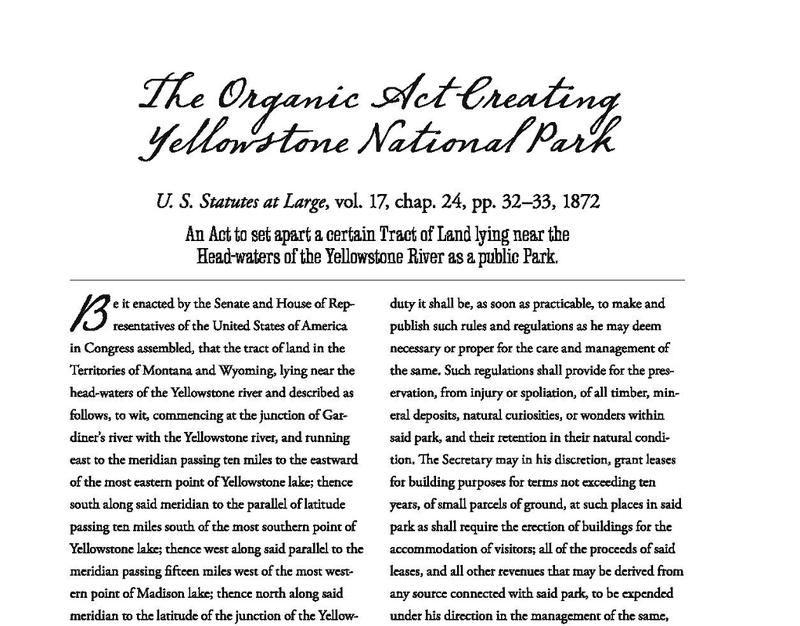 Yellowstone National Park was set aside as the world’s first national park 145 years ago, on March 1, 1872. 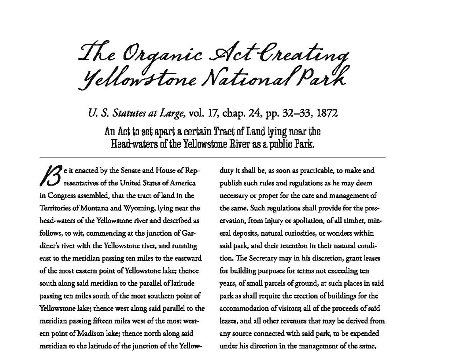 An act of Congress on that date made sure that settlement and sale of the land was prevented, and set it apart “as a public park or pleasuring-ground for the benefit and enjoyment of the people.” We placed the text of this important document on page 50 of the Through Early Yellowstone anthology, along with stories by explorers, adventurers, and tourists. Let’s appreciate what our nineteenth-century lawmakers did for us!